How to scan using Windows 8 using the Paint program, with the following steps. 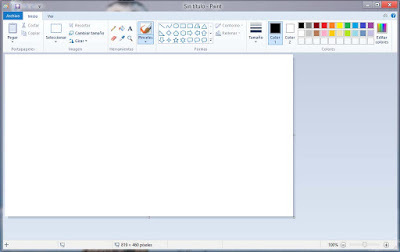 The Microsoft Paint program allows you to draw and edit images in a very creative way, from the version that came with Windows 7 options have been added that make this simple program in a very necessary tool in the use of computers with the Windows. I personally all the images you get on this blog before I do a touch or customization, always use this software for ease of doing in a short time something that is pleasing to the eye of readers. On the Windows 8 operating system with this program like Windows 7 gives us the ability to scan documents and images to save on our computer or email. To scan a document using the Paint program of Windows 8, follow the procedure below in case of problems write a comment on this publication. Follow the process to the letter, everything should be fine, secure having a scanner and printer with this is properly connected to the computer, there are no mistakes cartridge or communication problems as drivers or bad cable connection USB. To achieve scan a page with this program must first open the Paint, for this we need to go to the right of the desk top. We must reach applications, another way is by right-clicking on the lower left of the monitor, select the option to search and type Paint. When the results appear you must click File in the upper left part of the program. Then click on the option from scanner or camera, you should know that this method only scanner you can scan images. A window where we select from the available devices for scanning the document or image is displayed, select with the multifunction printer that you want to perform click on OK and then scanned or digitized. With this method you can select between scan images in color, grayscale or scan plane and more. Even we can make a custom configuration, and the process for saving files is followed by the process of saving a document of paint, the image is scanned appears in the Paint program.